This is a set of optional ST Racing Concepts Oversized Aluminum CNC Machined Front Steering Knuckles. 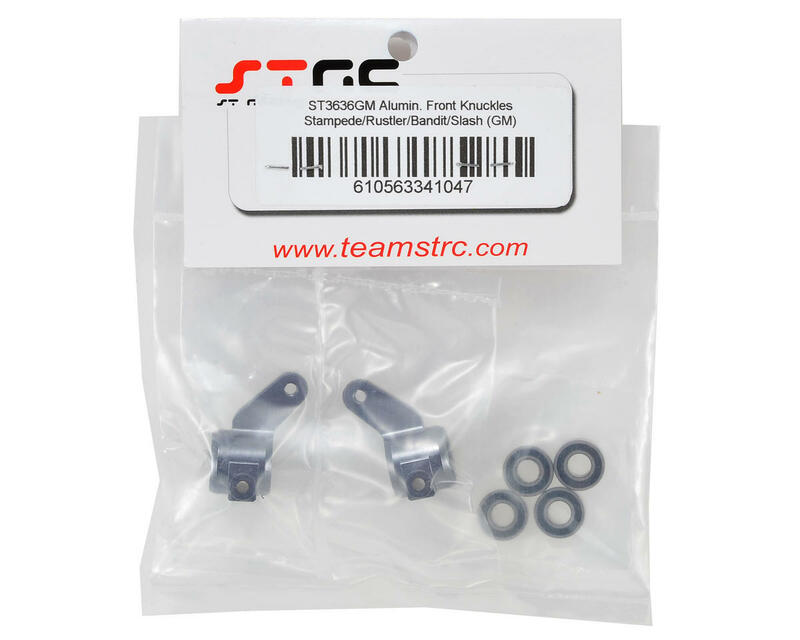 Using high quality aluminum, these oversized Front Steering Knuckles greatly increase the strength of your front suspension, while adding great looks to your Traxxas electric Stampede, Rustler, Bandit, or Slash, as well as the Nitro Slash. 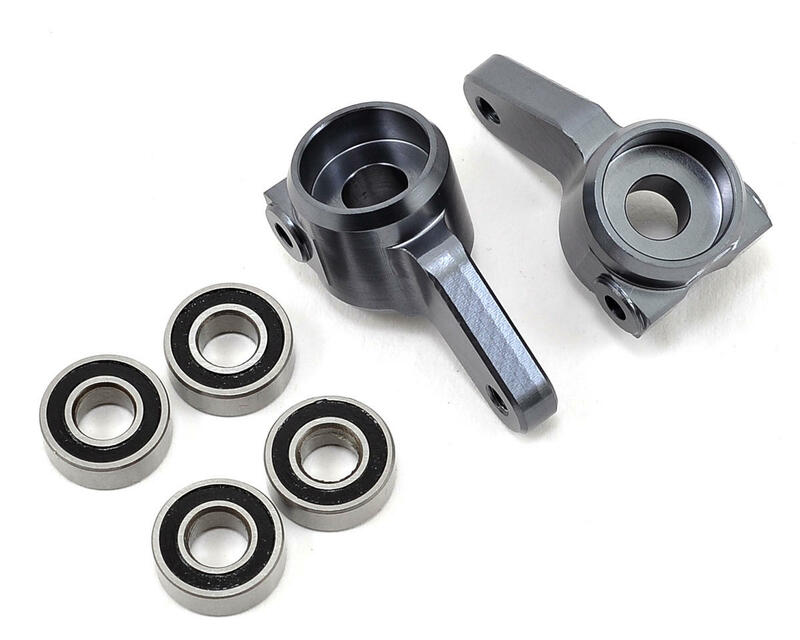 Because ST Racing has increased the size of the bearing on this part, they have included a full set of four 5x11mm ball bearings that replace the stock 5x9mm bushings, for improved efficiency and durability of the rotating axle.